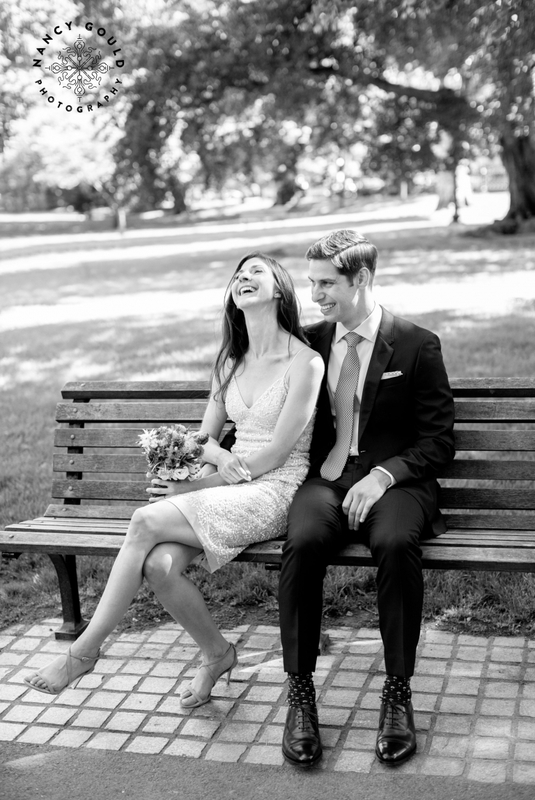 I have another super lovely and low-key wedding to share with you! Gina and Max met while going to Northeastern, and although they aren’t in Massachusetts now, came back to tie the knot with friends and family while looking out on the Boston skyline! No first look, no big reveal, just two people in love really excited to get married! 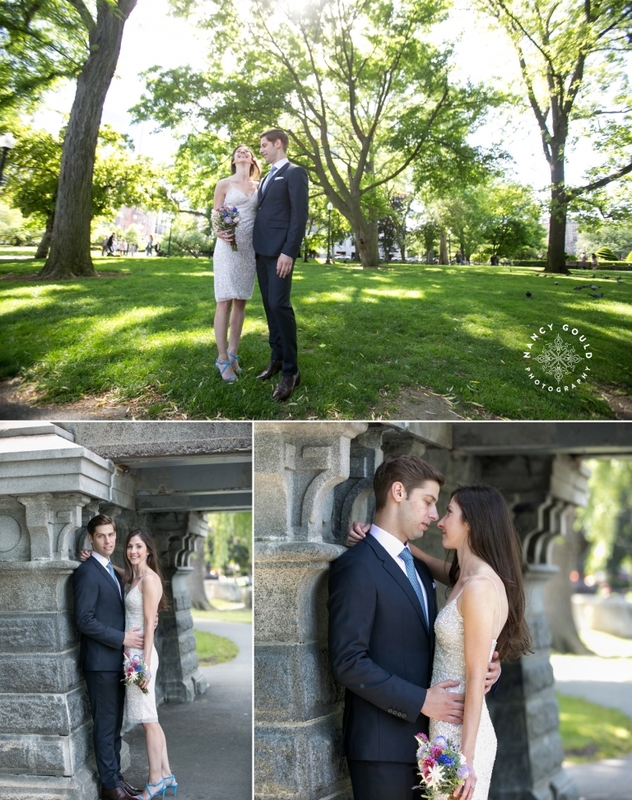 We walked across the street and did some photos in the Public Garden before the ketubah signing. It wasn’t until I posted this photo on Instagram that I noticed the tiny dog in the bike basket!!! Congrats to both of you!!! I couldn’t have asked for a sweeter or more relaxed couple!